Exhibitions are held at the Lawrence Wilson Art Gallery, Berndt Museum, Cullity Gallery, and SymbioticA. Image: AES+F, Inverso Mundus, Still #1-18 (detail), 2015, pigment InkJet print on FineArt Baryta paper, 32x57.5 cm (12.5x22.7 in), edition of 10. Courtesy of AES+F. Carrolup Revisited: A Journey through the South West of Western Australia celebrates the artists well-known for their role in the Carrolup School of Art. Today, this small group of children are remembered for their distinctive representational drawings in pastel. As members of the Stolen Generations, removed from their families and relocated to the Carrolup Native Settlement without warning, they lived in isolation from the world. These small works on paper, speak to their strength and willingness to survive, and is a reminder of the fortitude of Aboriginal people in the harshest of circumstances to create and imagine new worlds. 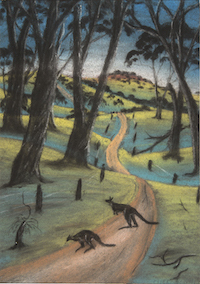 Image: Cliff Ryder, Carrolup, Kangaroos on Road (detail), 1948, pastel on paper, 25 x 18 cm. 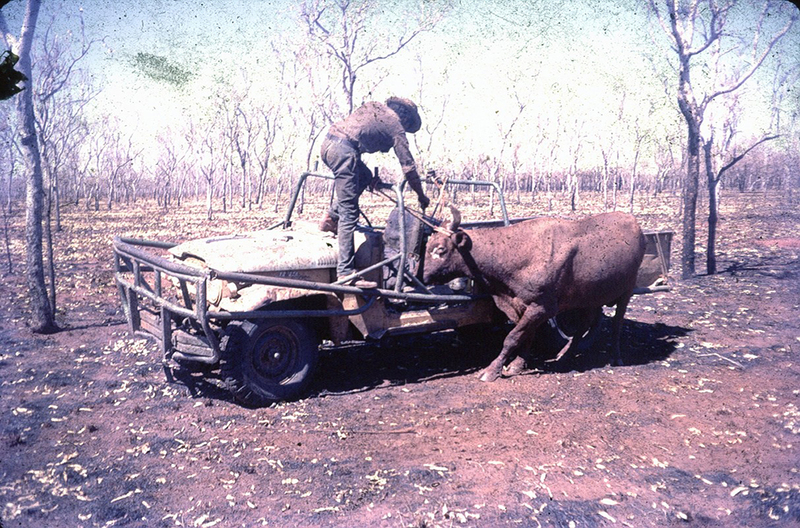 Donated through the Australian Government’s Cultural Gifts Program by E.S. Phillips and Dr G. Phillips, [1992/0101] © family of the artist .